With the advances in medicine, pharmaceuticals will have a significant role in the lives of patients. Pharmacies deliver the medications and health care products patients need to promote wellness and improve their quality of life. 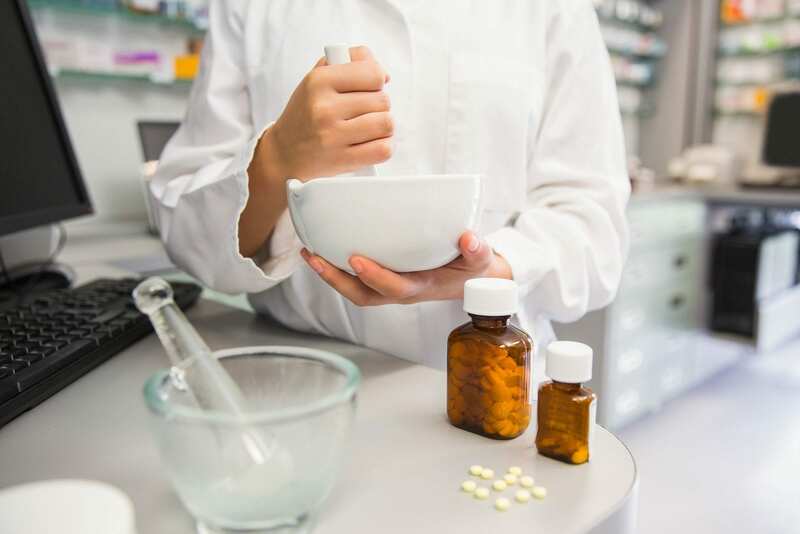 In order to improve the delivery of products and attend to customer service needs, pharmacists rely more on pharmacy technicians to ensure the smooth running of the pharmacy. The duties and responsibilities of a pharmacy technician vary by location. 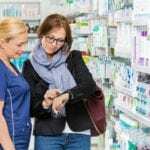 At retail locations, a pharmacy technician works daily with the general public to dispense medications, submit prescription claims, manage transactions, retrieve patient information, and resolve customer service issues. To work in a hospital pharmacy, pharmacy technicians must have extensive training with parenteral drugs. The training will help them fill medication orders, prepackage medications for patients, counsel patients who the hospital discharges, and conduct drug evaluations. The pharmacy technician program at CACC is accredited by the American Society of Health-System Pharmacists (ASHP). The school facilitates a certificate program and an associate degree program for pharmacy technician. Both programs prepare students to assist registered pharmacists in retail or hospital pharmacies. Course topics include medical terminology, introduction to human biology, computer fundamentals, pharmacology, pharmacy practice, pharmacy law, pharmacy product, pharmacy technician externship, and pharmacy seminar. The certificate program requires students to complete 40 credits to graduate. The associate degree program includes additional topics in office productivity applications, English composition, pharmaceutical mathematics, principles of retail, humanities elective, and social science elective. Students must earn a minimum 63 credits to graduate with the associate degree. Students must maintain a minimum 2.0 GPA to remain in the program. At the conclusion of the program, the graduate will be able to identify drugs by their generic or trade name, define ethics and explain laws related to the practice of pharmacy, function as a pharmacy technician, perform aseptic compounding and parenteral admixture operations, and calculate dosages. Tuition costs $107.75 per credit for Allegheny residents or a flat rate tuition of $1,616.25 for 12 to 18 credits. The Pharmacy Technician program at Pittsburgh Career Institute (PCI) helps students acquire the practical and technical skills to work as an assistant to a registered pharmacist. The curriculum will include classroom lectures as well as hands-on practice in the school’s lab, and a real-world pharmacy externship. The classroom sessions will cover pharmacology, dosage calculations, pharmacy law and ethics, medication preparation, customer service, pharmacy computing, and medications and their effects. During the pharmacy externship, students must complete logs, evaluations, and competencies to confirm their job readiness. At the conclusion of the 15-month program, graduates will earn an associates in specialized technology degree and will be ready for entry-level employment as a pharmacy technician. Applicants must attend a personal interview with an admissions representative, provide a copy of their high school diploma or other acceptable proof of completing secondary education, obtain criminal background clearance, complete the admission documents and fee, and pass the entrance exam. Tuition for the program is $24,564. Books and supplies cost an additional $2,735. The Pharmacy Technician program at PennCommerical prepares students for an entry-level position in a hospital, retail, or mail-order pharmacy. Students learn how to order, package, stock, and dispense medications. The program includes 15 months of pharmacy theory and practical experiences in the school’s lab as a pharmacy externship. The curriculum comprises of 1260 hours including 360 hours of pharmacy externship. Students earn a total of 82 credits at the end of the program. Course topics include medical terminology, keyboarding, pharmacology, professional development, medical insurance and billing, communication, pharmacology math, and pharmacy technician certification review. Graduates earn a diploma and are eligible to sit the PTCB’s Certified Pharmacy Technician Exam. Interested persons must submit a completed application, attend an admissions interview, submit official high school transcript or GED scores, pay the non-refundable application fee, and take an entrance exam. All students must attend an orientation. Additional requirements for entry into the pharmacy technician program include a health clearance/physical form, a criminal background check, and drug testing. Tuition costs $16,974. Books and supplies cost an additional $3,467. BTC’s pharmacy technician program teaches students how to function as a pharmacy technician, assisting pharmacists with the collection, organization, and evaluation of information, dispensing of medication, and pharmacy administration. Students learn how to screen prescriptions and medication orders and package and prepare them for dispensing. They’ll also learn pharmacology, math, science, and pharmacy processes. Course topics include community pharmacy software, anatomy and physiology, medical terminology, communication and professional skills, pharmacy mathematics, pharmacy lab, pharmacy automation and technology, and pharmacy techniques. The program’s duration is 40 weeks – 10 months, including a pharmacy technician externship at a community pharmacy. Classes meet Monday through Friday from 8:30 am through 2:55 pm. Applicants must have a high school diploma or GED, attend an information session, pass an assessment test, and sit for a panel interview.